Yerevan Beer Factory was established in 1952. 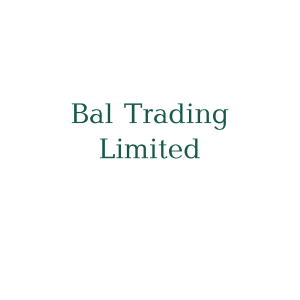 In 1997 it was reorganized into a Joint-Stock Company. 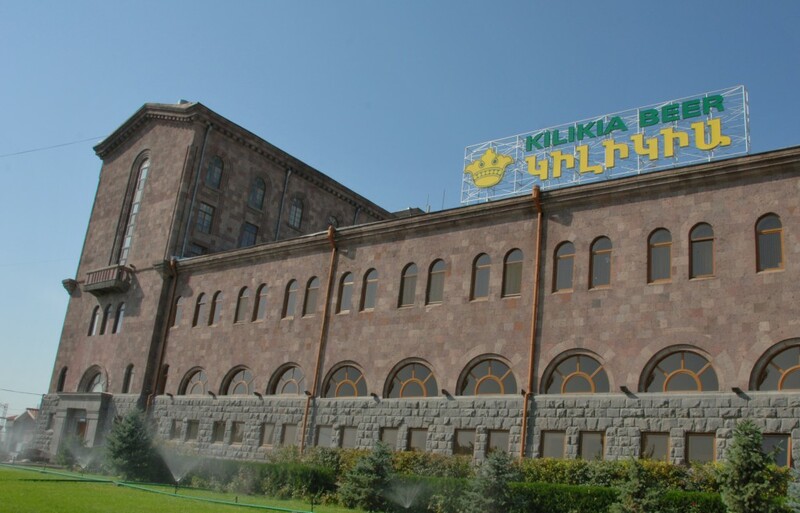 “Beer of Yerevan” Company with its 60 years of history has occupied its solid place among Armenia’s leading enterprises for years and “Kilikia” trademark has become an exceptional synonym to high quality. “Loozinian” mineral water is extracted from mineral water sources (source 1/2009, town Jermuk) located in ecologically clean parts of Jermuk town. Mineral waters of Jermuk are deep underground thermal mineral water squirts. For the first time those waters have been examined and characterized in 1830 and are widely consumed nowadays. The lemonade was first appeared in France. According to legend the royal winemaker was confused wine barrel with juice, and, in order to cover up the mistake, he added mineral water in lemon juice and rendered to King Ludwig 1st: King liked it. 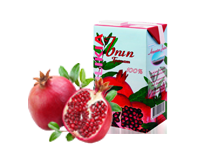 By virtue of climate peculiarities, Armenian fruits and berries are famous for marvelous taste, pleasant aroma and abundance of useful ingredients. 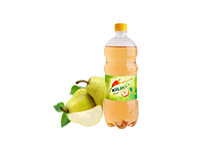 Natural juices and nectars under the “Kilikia” trademark are produced from the best fruits and berries growing in the clean ecological parts of Armenia and are processed with special technologies without use of preservatives, coloring substances and other additives. Fruits and berries used for the production of preserves (jam) must be fresh, healthy, harmless, equally and fully matured, with strong consistency. 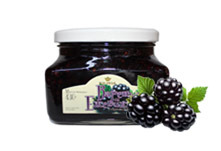 During the production of preserves, in order to avoid gelatinizing of the syrup it is not allowed to use unripe fruits and berries, which are rich in pectin. “ SIAL Paris” exhibition took place in France, Paris Օn 21-25 October. 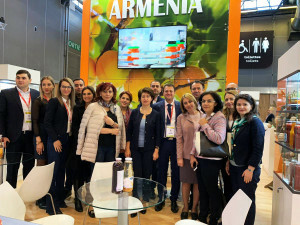 From canned fruit and vegetable to mineral water and meat products: eleven Armenian producers are presented in Sial-Paris International Exhibition in France. Europeans especially like armenian beer, compotes, mineral water, jams, dried fruits, organic honey, threads and canned fruits without sugar. 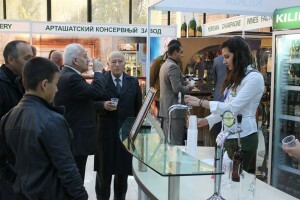 “Beer of Yerevan” CJSC also took part in exhibition representing the brand “Kilikia”. Armenia Expo 2016, showcasing goods and services produced in Armenia in a wide range of sectors, took place in Tehran from October 5-8. The exhibition is organized by the RA Embassy to Iran, Development Foundation of Armenia as well as the Iran International Exhibitions Company (IIEC). 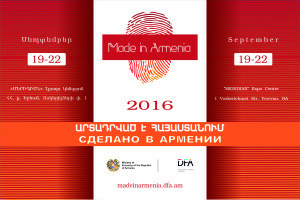 “Made in Armenia Expo 2016” exhibition took place on 19-22th of September, 2016 in Yerevan. The event was organized by the RA Ministry of Economy and the Development Foundation of Armenia. 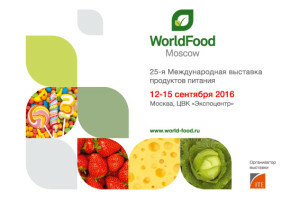 With the support of Armenia Development Fund, 19 Armenian companies participate in the 25th WorldFood Moscow 2016 international exhibition on September 12-15, press service of Armenia Development Fund informs. 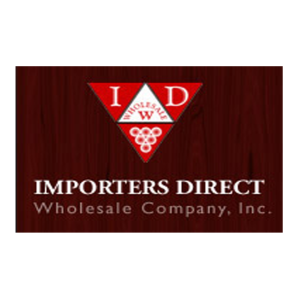 It is one of the famous events in the field of food industry, mainly attended by commercial distributors, importers, medium and large buyers of the field. 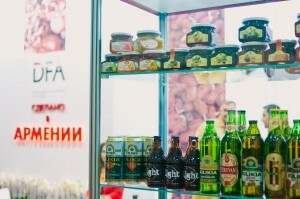 During the exhibition, Armenian companies present their own production of the main products of Armenian food industry, such as canned and frozen fruits and vegetables, alcoholic beverages, etc. “The Armenian production presented in the exhibition is quite competitive. Wholesale buyer companies and representatives of commercial networks can find high-quality products staring or expanding cooperation with Armenian companies,” Executive Director of Armenia Development Fund, Karen Mkrtichyan noted. 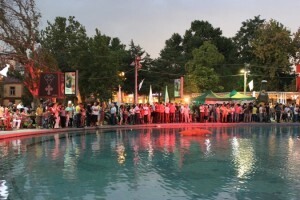 The 3rd Yerevan Beer Fest organized within the frames of the three-month municipal program of events “Yerevan summer” joined beer fans in the area of Swan’s Lake. The best traditions of Armenian brewery, almost three-thousand-year history of brewery were presented by the leading beer producers at the Armenian market, by the beer restaurants, cafes and pubs of the capital. 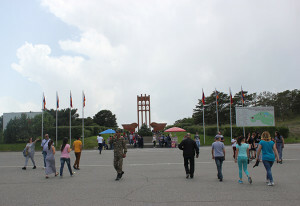 The number of visitors in previous years was more than 4000. The aim of Yerevan Beer Fest is to introduce the specialties of Armenian beer and brewery and to unite Armenian beer producing companies on one platform”, said Maria Baraghamyan. There were 20 pavilions at the festivals which were representing 15 companies. In a separate pavilion the assortment of fresh beer and corresponding snacks was displayed. The following companies took part in the fest: “Beer of Yerevan brewery” with exclusive sorts of dark beer “Kilikia”, “1952”, “Yerevan”; “Gyumri” and “Aleksandropol” breweries which are represented by “Gyumri”, “Aleksandropol”, “Ararat”, “Chezh” sorts; “Kotayk” brewery; “Beer Academia” pub; “Yankee” pub; Czech pub-restaurant “Karloff”, Armenian crayfish-lovers federation; “Biomania” pub, “Navavar” tavern. 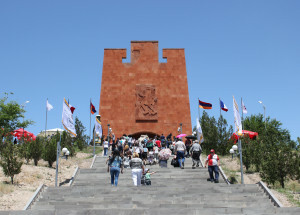 President Serzh Sargsyan accompanied by His Holiness Catholicos of All Armenians Garegin II, the highest leadership of the Republic and guests participated in the festivities dedicated to the Republic Day at the Battle of Sardarapat compound on May 28. In Sardarapat, the President of Armenia gave a congratulatory speech dedicated to the Republic Day. I congratulate you on the occasion of the Republic Day. For us, this is first and foremost a salvation holiday. We saved our last piece of land and the last remnants of our nation residing on that piece of land. No matter how difficult to accept, but that was the truth. There will be no new Sardarapat since by and large it was a war of desperation. Those who fought there did not know what country’s citizens they were of, and if they were citizens at all. There will be no new Sardarapat since there stands a State. 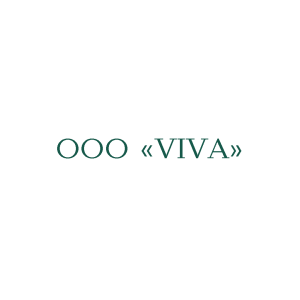 There is a generation born with independence, which wants to move in step with the contemporary world – and it will; a generation, which wants to move its country forward – and it will; a generation born with independence, which grasped the bequest of May 28 better than anyone else. All this stems from the fact that in their families and in their schools the bequest of May 28 was also grasped properly. We as a State, as a nation and as a society grasped the bequest of May 28 well. Glory to the Republic Day! Long live the Armenian nation! The 6th festival of ‘Udul’s’ dolma took place near the Self-Defense Battle Monument in Musaler on May 21, 2016. People had the opportunity to taste more than 70 kinds of dolma, which differed in their components, taste and smell. Alongside with dolma gourmets, the jury held its own degustation and had to determine this year’s best flavor, appearance and idea. “Beer of Yerevan” CJSC also took part in festival representing the brand “Kilikia”. The 13th International Wine Trade Fair “ENOEXPO 2015″ took place between 4th and 6th November, 2015 in Krakow, Poland. The exhibition is considered to be one of the major events of the Republic of Poland and Eastern Europe. 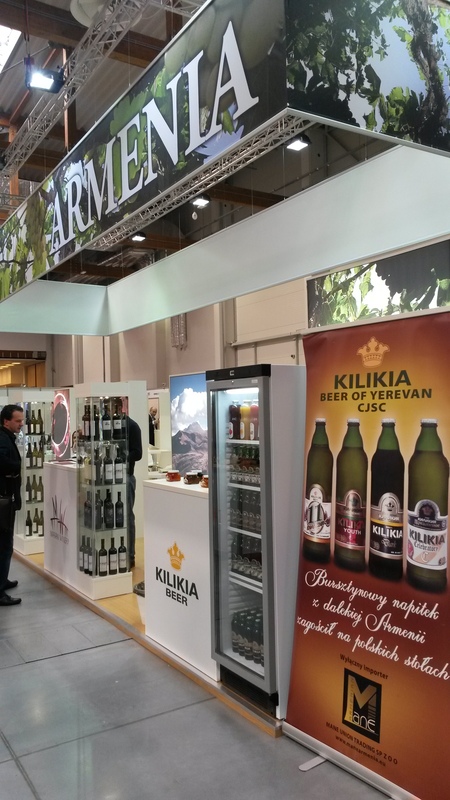 “Beer of Yerevan” CJSC also took place in this trade representing the brand “Kilikia”. The annual “ArmProdExpo” specialized exhibition took place at Yerevan Expo Exhibition Complex within the grounds of Yerevan Scientific Research Institute of Mathematical Machines in October 16, 2015. 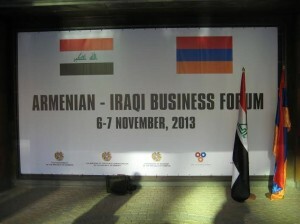 More than 80 companies from Armenia and Nagorno Karabakh took place in the exhibition. 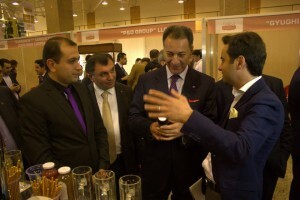 Prime Minister of the Republic of Armenia Hovik Abrahamyan walked around the stands, talked with the representatives of the companies, tasted their products and spoke about their problems and upcoming programs. 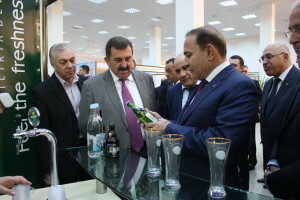 “Beer of Yerevan” CJSC also took place in the exhibition this year and was awarded with the Gold medal for the maintenance high quality of products. On September 14 “World Food Moscow 2015″ 24th international exhibition was launches in Moscow, where 10 companies of armenian food industry were participating. Natural juices, compotes, preserves, jams, beer, dairy and meat products were represented in the armenian booth. 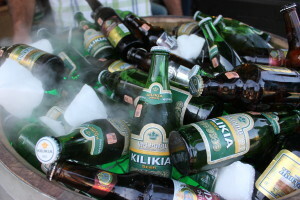 “Beer of Yerevan” CJSC also took part representing the brand “Kilikia”. “Yerevan Beer Fest” took place in August 22, 2015. The aim of this fest was to represent the new achievements in Armenian brewery, traditions, new labels, and, of course, to develop city and event tourism in Yerevan. The leading brewery companies, city beer pubs, restaurants and cafes participated in the second Yerevan Beer Festival. 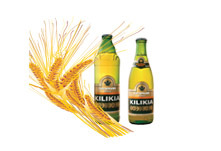 “Beer of Yerevan” CJSC also took part representing the brand “Kilikia”. 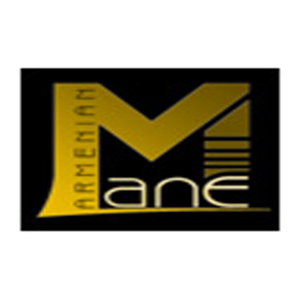 Ministry of Economy of the Republic of Armenia and The Development Foundation of Armenia are organizing an exhibition named “Made in Armenia Expo 2015” on 26-28th of April, 2015 in Yerevan. The annual “ArmProdExpo” specialized exhibition took place in October 17 2014. This year 67 companies from Armenia, 5 companies from the NKR and 3 companies from Russia and Ukraine were represented. There were the best samples of food and industrial achievements on progress, modern agricultural equipments and technologies, etc., vital for the development of the field. In addition to the session of the Armenian-Iraqi intergovernmental 2nd commission conducted in Yerevan on November 7 there has been held an Armenian-Iraqi business forum. The opening ceremony was attended by Deputy Prime Minister Armen Gevorgyan. In his opening remarks Deputy Prime Minister Armen Gevorgyan welcomed the participants and wished them efficient work. He expressed confidence that this event is great opportunity for Armenian and Iraqi businessmen to cooperate with each other, to establish new contacts, which will facilitate the trade and economic development between two countries. 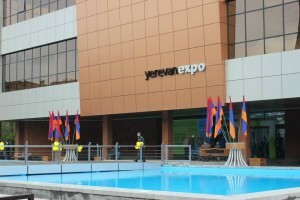 The ArmProd EXPO 2013 agricultural exhibition has opened in Yerevan. 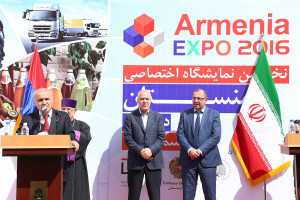 Armenian President Serzh Sargsyan, Minister of Agriculture Sergo Karapetyan, President of the Union of Manufacturers and Businessmen (Employers) of Armenia (UMB(E)A) Arsen Ghazaryan attended the opening ceremony. All the Armenian regions and a number of companies are displaying their products at the 50 exhibition halls. Minister Sergo Karapetyan stressed agricultural growth is expected this year as well. “From year to year we have had the good tradition to show what we have and sum up the year. We have excellent prospects in terms of amount, varieties, quality and export,” he said. 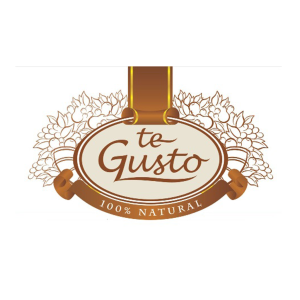 Currently the Company produces 12 sorts of beer, 10 sorts of natural juices and nectars, as well as 13 sorts of refreshing beverages. 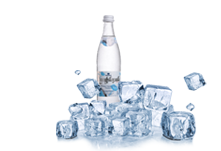 “Louzinian” mineral water is also being bottled by the Company. 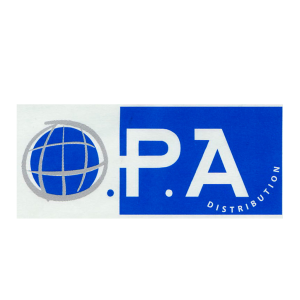 By virtue of high quality, modern management and flexible marketing policy, the production of the Company has its significant place in local consumption market and is being exported to Russia, USA, France, Poland, Singapore, Malaysia, Georgia and other countries. Since 2001 the ISO 9001:2000 quality management International standards have been certified and implemented in the Company. 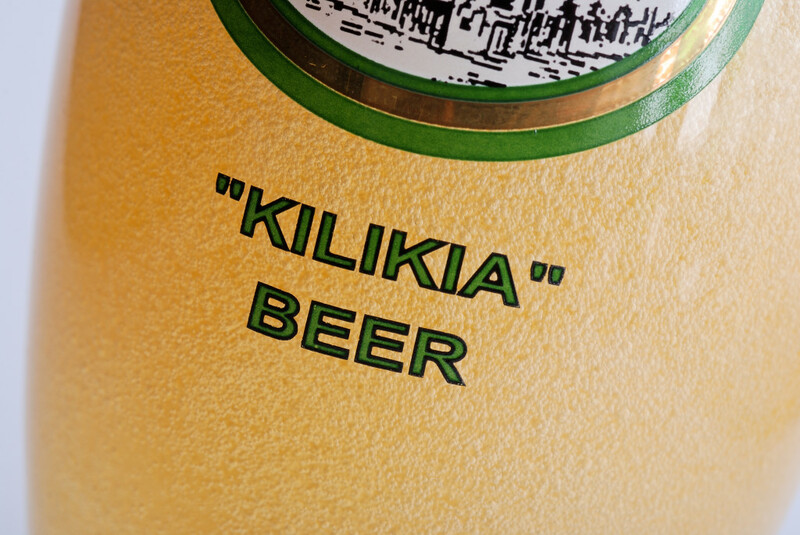 Beer “Kilikia”, which is produced in strict compliance with the centurial traditions of Armenian beer, by modern technologies and made from high quality substances, has numerous times established its high class in many international exhibitions by acquiring 30 gold, 3 silver, 2 bronze medals and 3 “Grand Prix” prizes and by being awarded plenty of certificates. In 1998 and 2003, the Company has been awarded the Republic of Armenia Government prize in the field of “ Products and Services Quality Area”. The international organization “BID” awarded “Beer of Yerevan” CJSC both a “Golden Star” in 1999 (Switzerland, Geneva) for producing products complying with the European standards, and an honorable award for “Best Quality” in 2001 (Germany, Frankfurt). 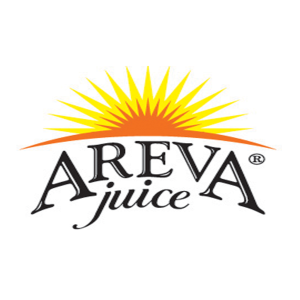 In 2012, during the “Best Trademark of the Year” national contest the Company was announced the winner and it was awarded special prizes in the nominations of “Best Beer of the Year” (“Kilikia” beer), “Revelation of the Year” (“Yerevan” beer), “Best and Ecologically Clean Juices for both Children and Adults” (“Areva” natural juices and nectars). Grain (malt) refinement of impurities ( stone, iron, dust etc.). Malt is passed through a polishing machine. In order to remove metal impurities, electromagnetic separators are used. Weighing and further fragmentation of refined grain. Malt is crushed in a dried or partially humidified form. Mash making, aimed to provide with the maximum transition of extractives to water solution. Mash filtration, aimed to separate solid phase from liquid phase and get the wort. Wort boiling with hops. Bitter, aromatic, tanning materials are transferred from hops into the wort. Wort cooling in hydrocyclone machine. The purpose is to lower the temperature up to fermentation temperature saturated with oxygen. Main fermentation. The chemical composition of the wort is changed and it turns into a delicious flavored drink. Maturation of young beer (additional fermentation). The remaining sugar is slowly fermented, beer is clarified and is saturated with carbon dioxide. Filtration of matured beer. During the filtration beer loses some part of the carbon dioxide, that’s why before bottling it is carbonated. Bottling of filtered beer. 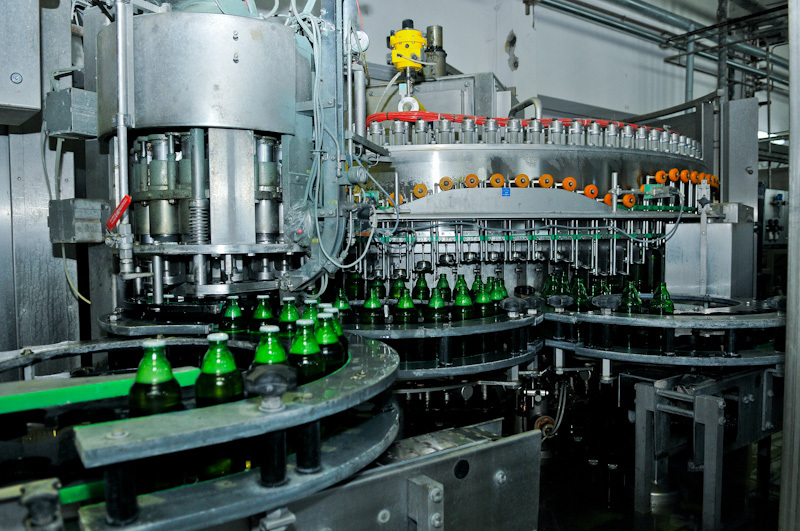 After carbonization beer is stored at least 6 – 8 hours in tanks and then is sent to bottling. Copyright © 1995-2014 "Beer of Yerevan" CJSC. All rights reserved.